Anything you can do I can do better! Just 10 days from the Champions League quarter-final first leg, Milan imitated their Lyon rivals with a 4-0 win away to Udinese. Despite being deprived the services of Paolo Maldini, injured, Jaap Stam and Genarro Gattuso, suspended, the Rossoneri had no trouble accounting for Udinese – underlining their status as the best attack in Italy in the process (67 goals). In the 42nd minute, Andrei Chevtchenko transformed his side’s dominance onto the scoreboard when he capitalised on an error from the opposition goalkeeper to slot home his left-foot finish – his 17th goal of the season. 16 minutes after the break, Alberto Gilardino, preferred in attack to Filippo Inzaghi, broke the offside trap and beat De Sanctis before running to celebrate with “Super Pippo” on the sidelines. In great form, the former Parma striker then turned provider with two assists. The first was for Chevtchenko, who after a delicate control registered his 18th of the season. Gilardino’s second pass found Clarence Seedorf whose powerful shot rounded off the scoring. Thanks to the win, the Milan side maintain their two-point lead of cross-town rivals Inter but are still ten points behind leaders Juventus. If the Milan attack seems to be in full flight, Brazilian ‘keeper Dida showed some signs of weakness, particularly on the high balls. Another blow for the Rossoneri is the news that emblematic captain Paolo Maldini will play no part in the quarter-final first leg due to persitent tendon pain. AC Milan: Dida - Costacurta (cap. 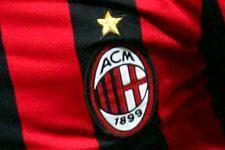 ), Nesta, Kaladze, Serginho - Vogel (Ambrosini 73), Pirlo, Seedorf (Jankulovski 79) - Kaka - Chevtchenko, (Amoroso 73), Gilardino.